We could all use a little inspiration now and then! 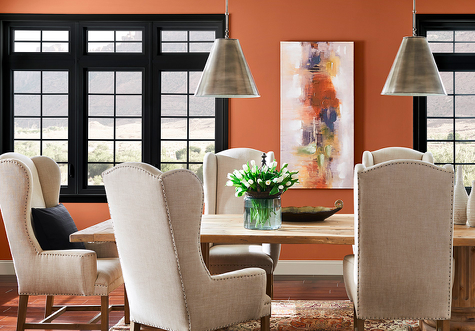 Let Sherwin Williams Colormix Forecast ignite your imagination — and reenergize your home. A fresh coat of paint and a few new accessories can transform your look quickly and easily or help pull the look of your new renovation together. Selecting the right colors for your vision can be overwhelming, but the design experts at ACo are here to guide you through the process. So, let’s take a look at what Sherwin Williams has in store for us in 2019! If you are craving a color that exudes warmth, welcome, and a playful spirit, look no further than 2019’s color of the year: Cavern Clay (#SW7701). 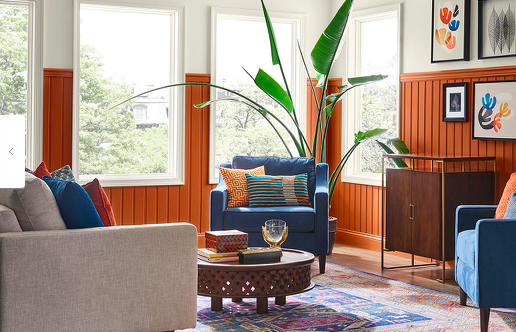 Sherwin Williams formulated this color to embody the soul of the Southwest, capture midcentury modern aesthetics, and deliver a casual yet refined finish. Colors of the year should be versatile, and the terracotta-inspired Cavern Clay does not disappoint in this regard. Pair it with Moth or Dark Clove for an effortlessly sophisticated look or go retro with Distance (a denim blue tone) or Haven (an avocado color — why not make 2019 the year of bold!). Cavern Clay is an excellent way to bring the outdoors in: create a beach or desert motif or bring sun-drenched summer afternoons into your home all year long. Even if the weather outside is frightful, your interior will be exquisitely delightful. Smooth and sophisticated: Cavern Clay nails it! A visionary palette designed for those who value creativity, Shapeshifter is inspired by the rings of Saturn, spirituality, and healing energy. Its colors are both calming and bold, classic and forward-looking. This palette is sunkissed, subtle, warm, and evocative of the endless horizon, it features earthy colors that are heavily influenced by the Southwest. If you love the look of worn leather, woven wool, handcrafted art and crafts, terracotta, and succulents, you’ll love the wandering spirit of the Wanderer collection. Think leather-bound books that you can inhale deeply from as you read; classic tweeds; and cozy nooks into which you can escape. Aficionado is endlessly elegant; it speaks of tradition and refinement. Full of rich, deep copper, gold, merlot, and greys, this palette is the height of impeccable taste. 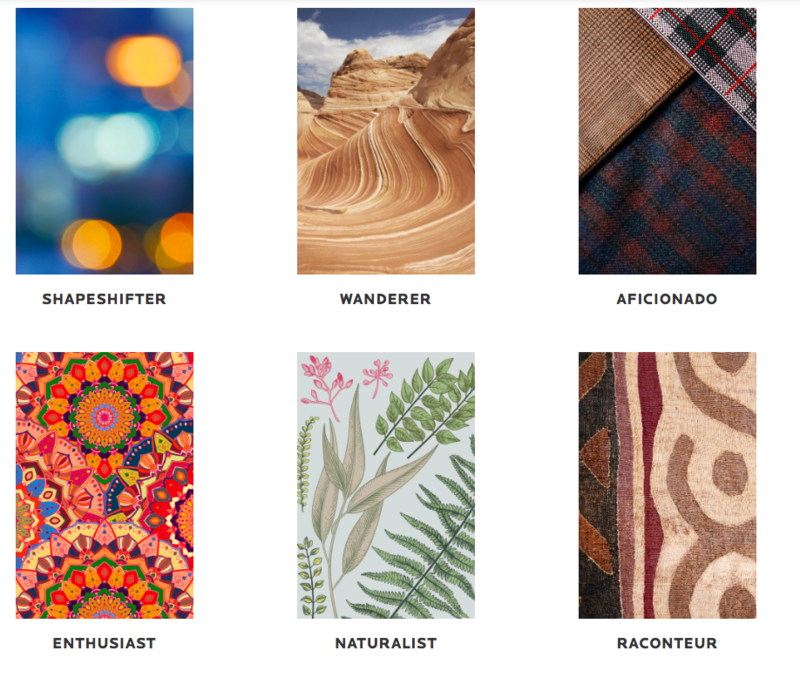 If you want an eclectic palette that reflects your passion for life (and style! ), go for the bold Enthusiast family of colors. With the other palettes we’ve noted, less is more. Subtle is powerful. With Enthusiast, more is more! It’s bold. It’s vivid. It’s energetic. It’s designed for maximum impact. Bring the outdoors in and immerse yourself in a garden of beauty and peace. The inspiration for sophisticated Naturalist came from the forest, terrariums, butterflies, and botanical prints. Earthtones, leafy greens, and dusky rose Delightful come to life with a pop of bold Eros Pink. The beauty of this palette is that it can be calm and sedate or vivid and energetic. It is entirely up to you! From a thrilling safari through the Serengeti to a bustling spice market in Morocco, Raconteur spins yarns of adventure, intrigue, and, above all, beauty. This palette pays homage to the art of the story; with rich colors and endless versatility, Raconteur empowers you to tell your own tale. Sherwin Williams offers inspiration for using these colors and creating a truly unique look. Take a look! You can also use their ColorSnap Visualizer tool to virtually paint your rooms with a simple swipe of the finger. And if you need more help planning the perfect design for your home, contact ACo for a free in-home consultation! We want you to love where you live, and color is an excellent step in that direction!